A portfolio of 6 sugar lift aquatints. Each image is pulled from two plates on BFK Rives Velin Cuve 240gsm. 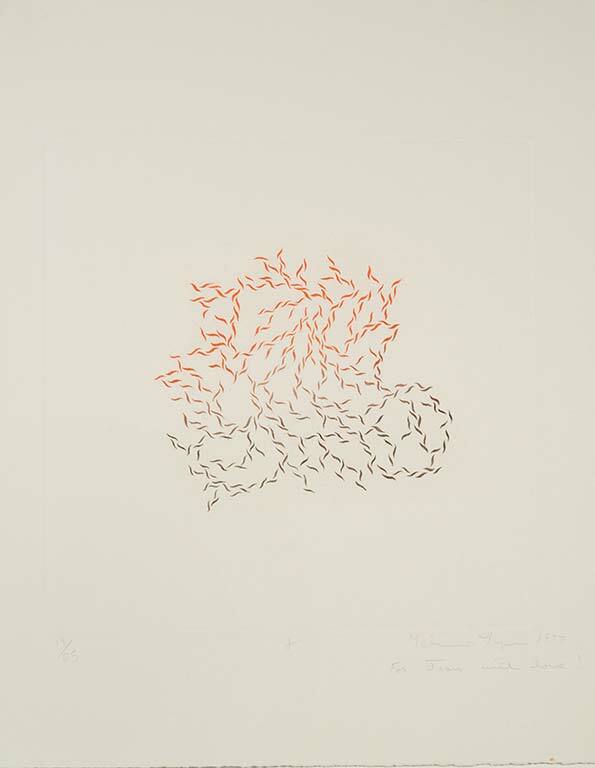 The prints were made by the artist at Editions Alecto Studios in London and printed by Charles Newington and Loraine Smith at Tisiphone Etching Limited Published by Editions Alecto Ltd in an Edition of 25 with 5 Artist’s Proofs and first exhibited at the Serpentine Gallery, and at Editions Alecto, January 1977. When there is something that can be contemplated, there is something that creates union. Hence there follows the hexagram of Biting Through. 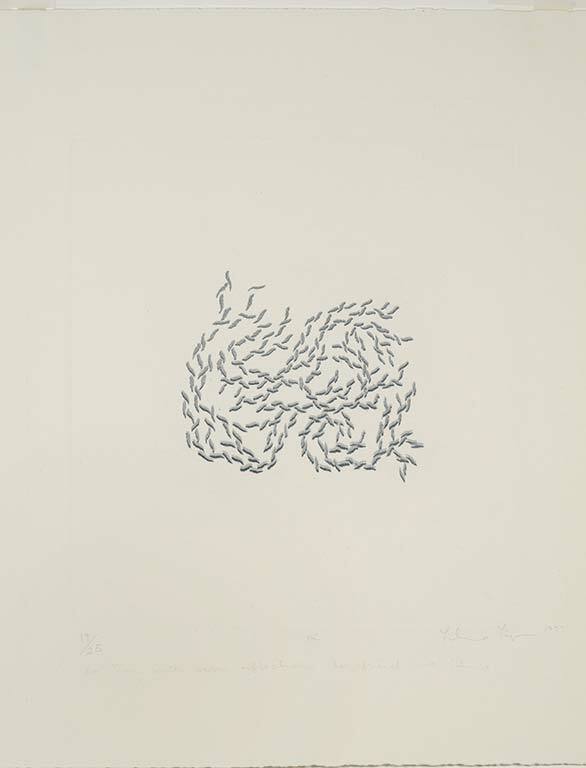 These prints were based on innumerable drawings Lijn made in between 1974-6, in which she looked for and discovered dynamic patterns of flow. They were made by drawing identical marks on paper with attention given to the precise relationship between them. Each mark was related to the preceding one as if they were links in a chain, the final image so dependent on this connecting relationship, that to erase one mark would lead to the erasure of them all because it would be almost impossible to find the point at which a small change in direction had led to the final image. Drawing in this way is very much like weaving and also resembles cellular growth or the connections made between neurons in the brain.